Just in case you missed the Book Fair at Whitehills or you want to order more books, our last Scholastic Book Order form is going home this week. You can order through the catalog or online at Scholastic. If you are interested, book orders are due anytime before Tuesday, May 19. If you are looking for books for your child to read this summer, there are a lot of wonderful options at great prices through Scholastic. If you have any questions, please contact Mrs. Wever by email. What's your address & phone number? We are learning about location in Geography and found out many students do not know their addresses or phone numbers! Please take some time at home or even during the drive to school to review this information with your child. The question we have been asking in class is, do you have a plan? If a family member does not show up to pick you up from school, what is your plan? Who do you call? What is the number? We want to make sure our students have a plan and stay safe! We will be taking the M-STEP assessment in May (this test replaces the MEAP). Please check out the calendar below for exact dates. Make sure your child is IN SCHOOL, ON TIME on test days. Make sure your child is WELL RESTED on test days. Feed your child a hearty, nutritious BREAKFAST on test days. Please send a hearty, nutritious SNACK on test days. Avoid scheduling appointments on test days. ENCOURAGE your child to do his or her personal BEST. Our beginning English students will only be taking the Math portion of the MEAP (they have already taken the English Language Proficiency Assessment Screener). We are focusing on comparing and contrasting while reading. When we compare two things, we ask ourselves, "How are these things alike?" Some words that signal comparisons are same, also, too and alike. When we contrast two things, we ask ourselves, "How are these things different?" Some words that signal contrasts are different, on the other hand, and however. A great way to practice this at home is to read with your child and ask them to compare and contrast different aspects of the story (i.e. characters, settings, situations among characters, etc.). 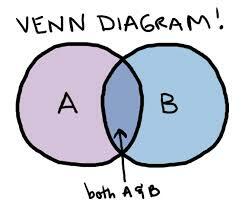 Venn diagrams are an excellent tool for visually expressing similarities and differences. For extra comparing and contrasting practice, click on the button below! It is that time of the year... free choice writing! Kids can work on their choice of poetry, narratives, essays, recipes, fantasy, realistic fiction, graphic novels, or anything else that gets them excited about writing! We have been using Write About to publish our work. Students should continue to practice multiplication and division facts for at least 10 minutes each night! We will start our unit on Changes in Motion after Spring Break. Words like friction, motion, force, movement, and lift will be a focus. We are studying the Government and Economics of Michigan. Click on the links in the calendar for more information.